Are you a property owner in Boca Raton? Many Boca Raton residents are choosing maintenance-free, durable, and beautiful artificial grass on their properties. Artificial turf installation is rapid, available in various styles and textures, and offers incredible resistance to the elements. Artificial grass is also manufactured in a wide variety of colors beyond the classic green. Synthetic Turf And Services LLC specializes in the sales and installation of artificial grass. Say goodbye to fertilizing, watering, and weeding forever! 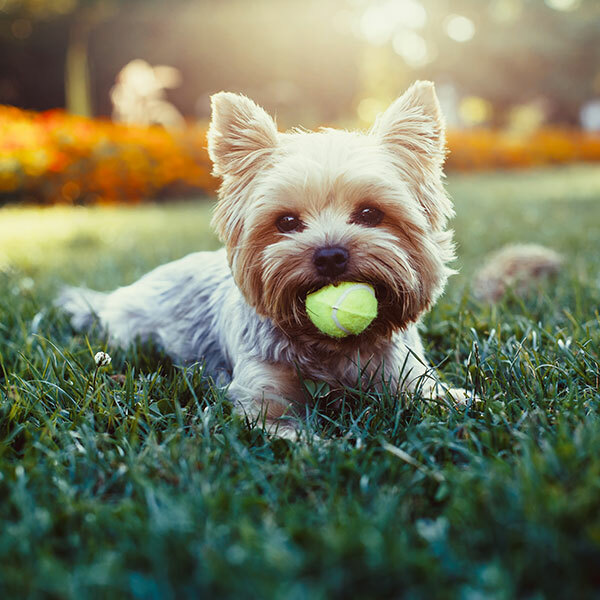 Our certified installers guarantee an exceptionally long-lasting surface of grass to be enjoyed for years. To receive a free quote for our artificial grass installation, call us today! 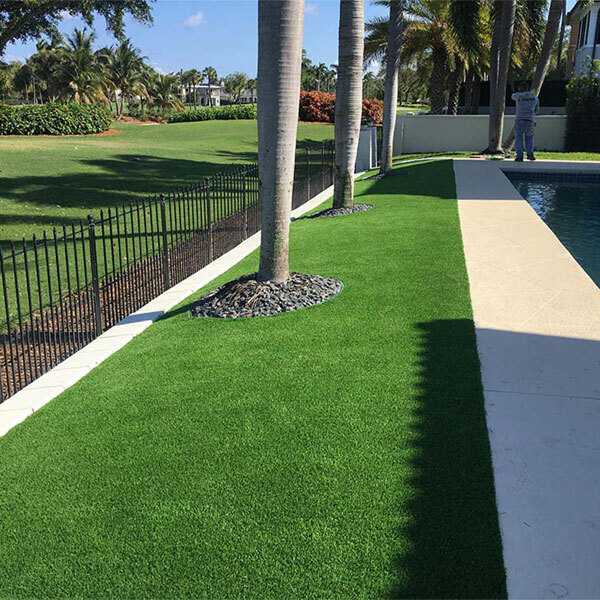 For many years, Synthetic Turf And Services LLC has been providing Boca Raton-area homes and businesses with innovative artificial grass solutions. Artificial grass is available in many different configurations. You’ll be able to choose the blade thickness, coat density, color, texture, and other customized options. We guarantee we can recommend the perfect artificial grass solution for your property. We specialize in efficient, rapid installation. We are committed to working safely and neatly on your property, minimizing disruptions to life as usual. Among the many advantages of artificial turf installation is consistent year-round beauty, water conservation, and ease of maintenance. We remove the many components required in grass maintenance, including harmful chemicals and pesticides. Our highly-qualified staff have extensive experience in all types of artificial grass and its properties. We can advise the best artificial turf for your needs and can advise on how best to clean and maintain your grass. 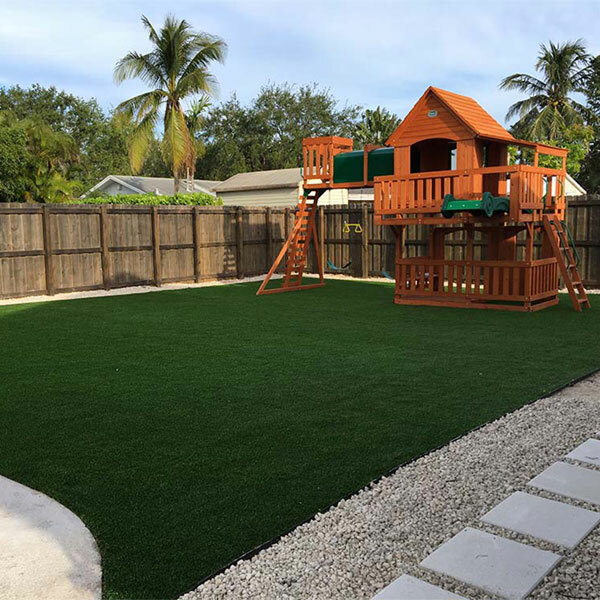 In addition to our exceptional customer service and workmanship, we offer competitive pricing and free quotes for our artificial grass installation. To learn more, contact one of our specialists today. We look forward to working with you! There are countless benefits to choosing artificial turf for your residential or commercial property. We advise Boca Raton clients on whether turf makes a good addition for their property. In terms of convenience, attractiveness, and durability, artificial grass cannot be beat. Firstly, artificial grass is incredibly low-maintenance. Once installed, the only cleaning artificial grass requires is a light clean with a leaf blower or a bristle broom. Unlike natural lawns, it will require no water, fertilizer, pesticide, or weeding. Artificial grass is also environmentally friendly. It allows you to conserve water as well as gas and electricity due to no mowing being required. As far as aesthetics are concerned, artificial turf will always look like new. Regardless of weather or seasonal changes, it will retain a brilliant color and texture. Lastly, artificial grass offers unmatched durability. It is designed to withstand all climates as well as high levels of traffic. Best of all, you can be certain of its safety for young children, dogs, and anyone else. To learn more about the difference artificial grass can make for your property, contact Synthetic Turf And Services LLC today! The long answer? Well, artificial grass is a good choice for just about every property. What’s required? A desire to say goodbye to endless lawncare and high landscaping bills, for starters. Everything less shouldn’t be much of a concern for you. When you get in touch with Synthetic Turf And Services LLC for your artificial turf installation, we take care of the planning, land surveying, and logistics. Sounds easy, doesn’t it? Well, they don’t call artificial grass the ‘lazy lawn’ for nothing! The beauty of artificial grass is that it’s not climate-sensitive or only suitable for certain types of land, like some sod and many plant varieties. Artificial turf is right for everyone! The technology that gives artificial grass its longevity and aesthetic appeal have come a long way the past few years. If we looked at artificial lawns from a few decades ago, they might have looked unconvincing and only lasted a few years at best. But gone are the days of stiff and cartoon-like fake grass. If your ‘Astro lawn’ is expertly installed by the synthetic grass professionals at Synthetic Turf And Services LLC, you can pretty much guarantee that the grass will last for 20-25 years. Artificial grass installers are so confident in their work’s longevity that most installations come with a ten-year product warranty. If an artificial lawn is going to save you from years of stress and maintenance costs, it goes without saying that your installation team is going to have to put a bit of work into the new lawn at the beginning. Few good things come easily, unfortunately. First off Synthetic Turf And Services LLC would inspect your property while also clearing it of existing materials. If your irrigation system is adequate, then we will be able to get to work. The issue of artificial grass drainage is very important for the health of your synthetic lawn. Correct drainage systems ensure longevity and durability. Apart from ensuring your drainage system is up to par, there are many others steps to installing an artificial lawn, and none of them should ever be underestimated. Don’t put your lawn in the hands of amateurs who don’t understand the drain requirements of both hard and organic surfaces. Call Synthetic Turf And Services LLC! Do Artificial Lawns Need Maintenance? With an artificial lawn installed by Synthetic Turf And Services LLC, you’ll never have to ride on your lawn mower ever again. All that you’re going to have to do is be mindful of loose materials, debris, and leaves. You can remove these leaves and debris with a conventional rake, or you can use your leaf blower. You don’t have to worry about either doing damage to your artificial lawn. After all, they’re subjected to the harsh outdoor elements all day long. A little raking won’t hurt them! If you’d like to hear more about our artificial lawn installation services, give Synthetic Turf And Services LLC a call today!